THE SIVAS RUG - Inspired by the grandeur of classical Persian palace carpets. Sivas sits 4,000 feet above sea level, atop the wide valley of Kizilirmak that is its heartland. It is surrounded by unending fields of verdant Turkish agriculture, but the city itself closes inward toward its dense commercial core. The contrast feels telling of Sivas’s uneasy evolution as a whole, from past to present, from ancient cultural hub to modern industrial center. It reveals its history quietly, in architectural layers: 13th century Seljuk gives way to 16th century Ottoman gives way to present-day manufacturing, as though all grow chaotically from some shared, obscurely hidden foundation. Among Sivas’s most famous sights is its beautifully minimalist Grand Mosque, built with prescient simplicity in 1196, as if in anticipation of complications to come. The contradictions are visible: it’s the old and the new; the pastoral and the industrial; the natural and the man-made; the local and the international. Sivas is an ancient place, and at the same time, possessing of an identity that can seem astonishingly young, and surprisingly in flux. A key example: it has only been a center of Turkish rug-making since production began for the international market in the late 19th century. 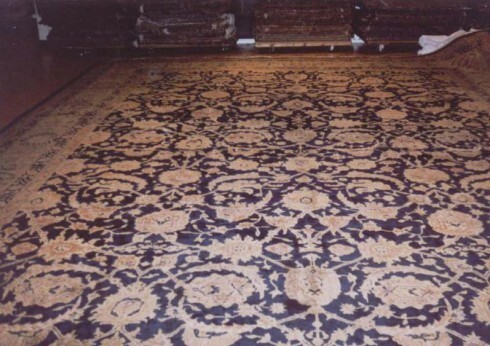 At that time, Sivas sold primarily to London, Rome, and New York, where its rugs were enormously popular among an urban elite looking for classically designed Persian rugs. And yet, one will note, ironically: Sivas is in central Turkey, not in Persia. A city of contradictions, indeed. The key to understanding the origins of Sivas rugs is to know they are intentional and masterful copies. More accurately, they might be called hybrids: Turkish in origin, yet Persian in design. The city’s geographic position at the center of Turkey’s major east-west and north-south trade routes made it uniquely situated in the 19th century to take advantage of the rapidly expanding market. The city became a major trade outpost for western export firms, who worked by commissioning the city’s expert weavers individually. The firms wanted room-sized carpets of traditional Persian design, and Sivas delivered magnificently. They offered formal, refined elegance combined with sturdy, contemporary Turkish construction. 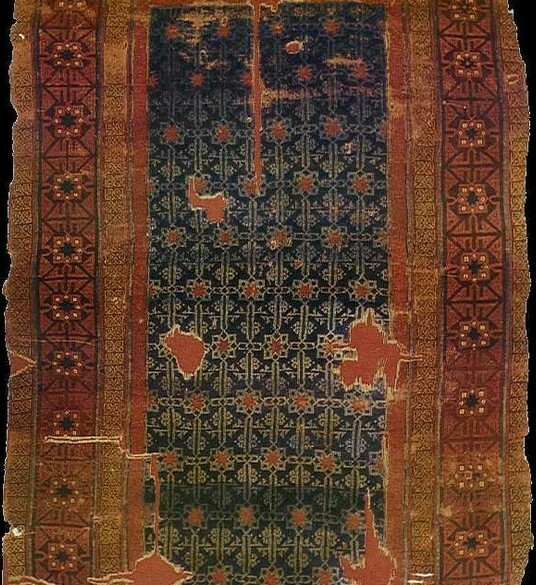 The carpets betray little of their Turkish origin, and in this respect they contrast starkly with related antique rugs of historic Anatolia, known for incorporating native tribal motifs that could have come from nowhere else. 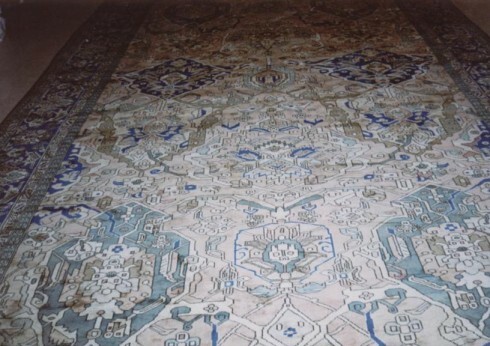 In terms of design, inspired by the grandeur of classical Persian palace carpets, Sivas rugs tend toward formal elegance. Their soft color palette and restrained, masterfully executed motifs are typical of the finest antiques of Persian rug-making. Sivas rugs are, as a rule, large, room-sized carpets, and they are found in one of two classic motifs: the Persian medallion motif, framed by floral border; and the all-over Persian floral motif, accented with palmettos and vinescrolls. They are naturally dyed using native plants of Turkey's agricultural heartland, and the colors of antique Sivas are perhaps their defining aesthetic quality; the ivory and brown earth tones have aged beautifully, acquiring a soft burnish with time. 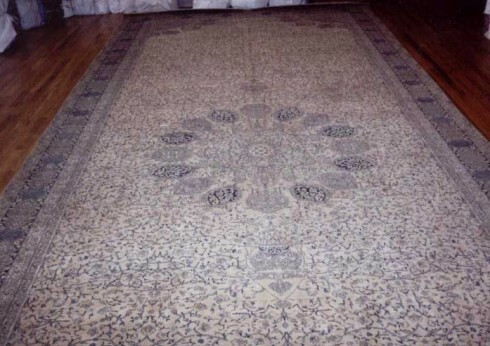 Today, they remain some of the most fascinating and popular rugs on the market. Though the Sivas carpets clearly reflect their commercial origin, they nevertheless assert a beauty that is honest and entirely their own.